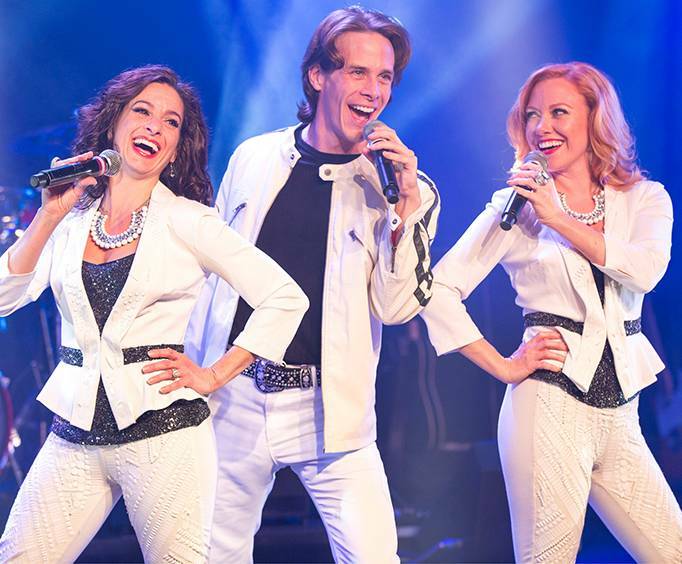 Experience an amazing array of gospel classics, country music, and of course, hilarious comedy the next time you are in Branson, MO. With the family-friendly Comedy Jamboree, guests of all ages will be able to enjoy some of the greatest acts in the Ozarks. The main part of the show is the awesome G-rated comedy that will have everyone rolling in their seats with laughter. There are other elements to the show as well that add a variety of thrills to the production. Guests can enjoy everything from amazing sound and musical talents comedians and dancers. Kick back and relax or toe-tap in your seat! No matter what age you are - 9 or 90 - you are sure to have a great time making new memories with your loved ones at this show. The show plays each afternoon from January until December, so be sure to catch it sometime this year! The main part of the Comedy Jamboree is, of course, the comedic acts! Join the Jamboree comedians and fantastic funny guys Applejack, Stretch McCord, and Andy Parks as they entertain and pull members of the crowd up on stage to help them perform side-splitting skits. These great comedians come together to help audiences enjoy some stress-free fun. 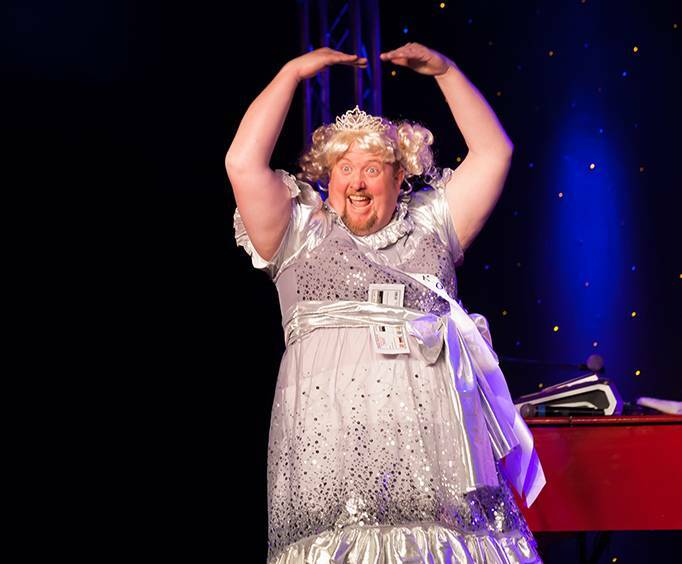 The comedy aspect comes loaded with tons of jokes, slapstick pieces, and the unique addition of getting audience participation involved, it is clear why it is one of the best-rated family-friendly shows in Branson. Country music, classic gospel hits, and more await with the musical portion of the show. The Comedy Jamboree brings tons of musical fun and energy to the stage! Join the extremely talented Jamboree Singers along with Tracy Heaston, and the Grand Band for a variety of musical stylings. Of course, the music is all performed live for an unforgettable afternoon of fun. The jamboree features some of the best talented performers in the area, and they deliver amazing music, country hits, amazing songs, country gospel, and all of the classics to audience members! You will be treated to the voices of GiGi Hutchison, Matt Snow, and Tiffany Sassanella. Each of them brings their own unique style and elements to the stage with them. These featured vocalists truly perform these gospel classics like you've never heard, so do not miss out. They are all backed, of course, by the Grand Country’s Grand Band. You will also be able to see the great pianist and musical director of the show, Tracy Heaston! Each one of these musical performers will help bring joy to the event. The Grand Band performs at every Grand Country Resort show! The Grand Band features the talents of Chad Cathell (lead and acoustic guitar), Larry Allred (bass guitar), Wayne Massengale (fiddle, acoustic and lead guitar), and Rob Blackburn (drums and percussion). The cast also contains dancers in elaborate costumes doing floor-pounding clogging routines and using various stage props. Before and after the show, performers are more than happy to interact with their guests which adds a welcome touch to the enjoyment of this production. As G-rated entertainment, this is a fun time for any and every family. Be sure to book this show if you want to enjoy an afternoon full of music and mayhem, comedy acts, country music's greatest hits, and live music. Music and comedy await at the Comedy Jamboree! With such a variety of things to see and do, do not miss out on this awesome opportunity to have some light-hearted fun on your vacation. Approximately how long is the Comedy Jamboree? The show is held at the Grand Country Music Hall. Do the performers of the Comedy Jamboree sign autographs and meet the audience after the show? The performers chat with the audience before and after the show. The parking here is free. We enjoyed this show so much that we bought tickets for the evening show featuring the quartet. Those guys can out sing most any quartet. Hilarious.....Really a good show. I'll be back to see them again next year!